SELLING NOW - Metroplex Westgate’s premium small lot land release. 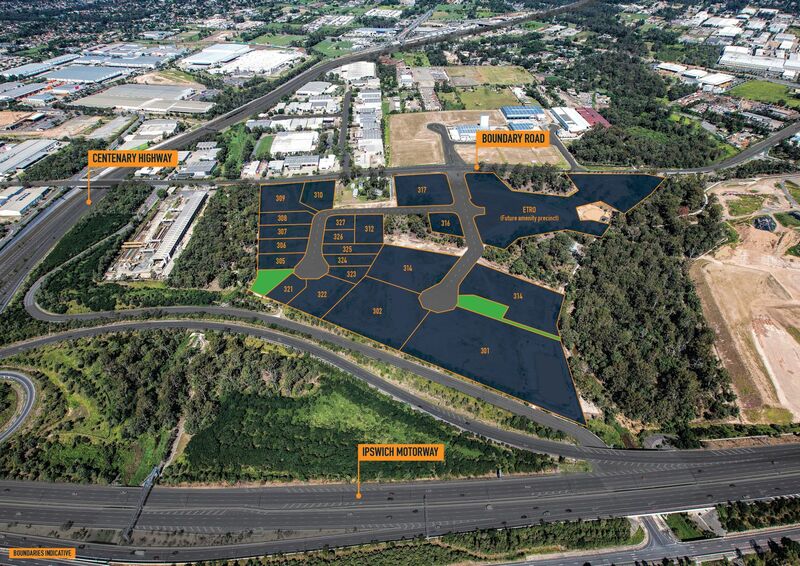 Be part of western Brisbane’s most exciting and innovative commercial and industrial precinct. 20 lots ranging from 1,800m2 – 1.8ha MIBA zoning (Mixed Industry & Business) Allows for a mix of low impact industrial development along with offices and shops that support the Wacol industrial precinct. Construction underway. Purchase off the plan now. Settle Q1 2019. Adjacent to the proposed future lifestyle hub of the estate, the ETRO, featuring retail, café, recreational and community facilities. A perfect opportunity for small and medium sized enterprise to create and build their own business premises on their own individual parcel of land.